The spectacular new book in New York Times-bestselling author W.E.B. 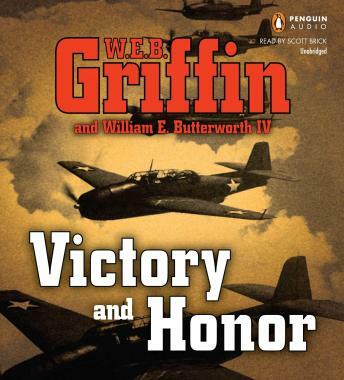 Griffin's Honor Bound saga of World War II espionage. Wars come to an end. But then new ones begin. Just weeks after Hitler's suicide, Cletus Frade and his colleagues in the OSS find themselves up to their necks in battles every bit as fierce as the ones just ended. The first is political-the very survival of the OSS, with every department from Treasury to War to the FBI grabbing for its covert agents and assets. The second is on a much grander scale-the possible next world war, against Joe Stalin and his voracious ambitions. To get a jump on the latter, Frade has been conducting a secret operation, one of great daring-and great danger-but to conduct it and not be discovered, he and his men must walk a perilously dark line. One slip, and everyone becomes a casualty of war. While the writing is certainly superior, the detail was overwhelming. It was too many names and places and faces to keep up with, too much material detail that was not really that important to the story, and it drug on and on with back story. There was action, but not until you knew everyones grandmother's third cousin's neighbor's name, what his title was, what he drank, and to whom his allegiance fell. And if the word "incredulously" (or some form of the word, thereof) was used once, it was used a thousand times. While I hung in until the end -- and the end was good -- I could not wait for it to come to that end.